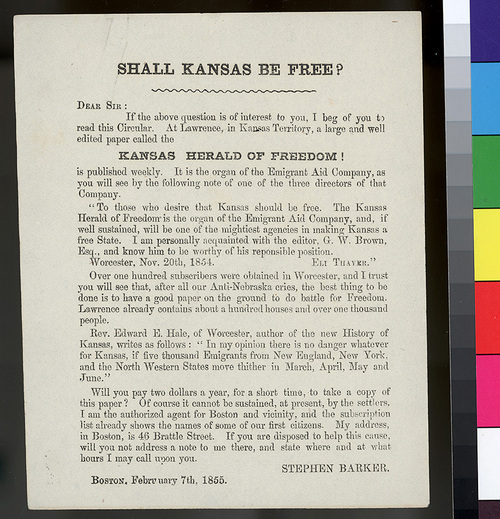 This printed letter is an advertisement for the Kansas "Herald Of Freedom" newspaper. The newspaper is supported by the New England Emigrant Aid Company and the letter describes how the company and the newspaper support Kansas Territory's entrance into the Union as a free state. It attempts to persuade other Bostonians to support the newspaper and its work on behalf of the free state cause.